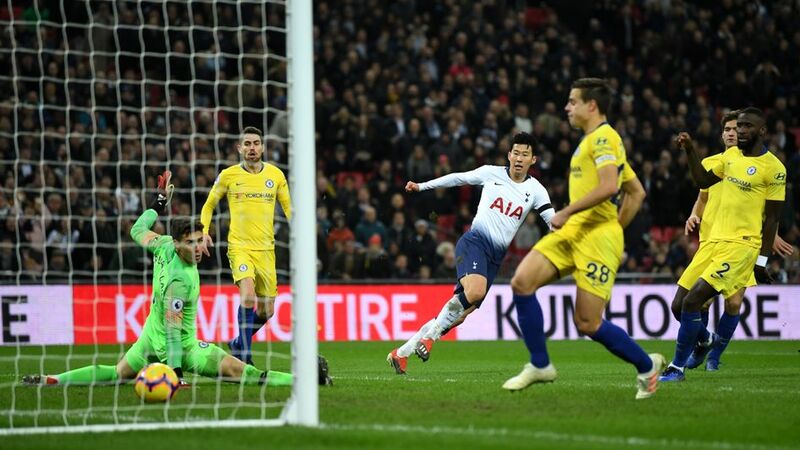 Tottenham Hotspur on Saturday torpedoed Chelsea 3-1 to move one point above their London rivals. Spurs’ victory ended Maurizio Sarri’s unbeaten start to his Blues tenure and provided several vital lessons to the Italian manager. Here are some of them. Sarri may have put together a 19-match unbeaten run but their lofty results were underpinned by the inability of opponents to unhinge their passing game. Tottenham Hotspur boss Mauricio Pochettino did his homework well. He knew the key to disrupting Chelsea’s game was stopping Jorginho. And they did so with flying colours. Not only was the former Napoli enforcer marked out of the game, his positional sense and strength on the back foot were put into question. Chelsea’s imperious results masked a lack of alternative plan once their passing game is nullified. Spurs boss Mauricio Pochettino had clearly done his homework about Chelsea’s defensive vulnerabilities and set about exploiting them. Two antidotes could have countered Spurs decision to field Christian Erikssen, Son Heuing Min and Delle Ali. Chelsea either had to deploy a 3-5-2, with Gary Cahill joining David Luiz and Antonio Rudiger, or Luiz should have been moved into midfield to to create a bulwark in front of a porous back four. That’s how Chelsea won at Wembley last season. Alvaro Morata is much too featherweight and consistently erratic. There is no way he can help Sarri to a sustained title challenge. Olivier Giroud is meanwhile not prolific enough, his first Premier League goal of the season notwithstanding. Unless Chelsea go into the transfer market to augment the threat posed from midfield by Eden Hazard, even Champions League qualification might slip out of their grasp. Maurizio Sarri could also have got better traction from moving Jorginho ahead of Ngolo Kante. The Frenchman is a pressing machine, but his recovery pace was badly missed. Spurs’ second goal exposed the glaring problem precipitated by fielding a holding midfielder without pace. There is no way Son Heuing Min could have skinned Kante for pace in the manner in which he obliterated Jorginho. If you are an England international but can’t make the starting line up, let alone the bench for a crunch London derby like Saturday’s duel, it is time to move on. Cheek laid back style is especially not suited to Sarri Ball and yet he would command an excellent price in the transfer market. It’s better to cash in and then use the funds to beef up the striking line.